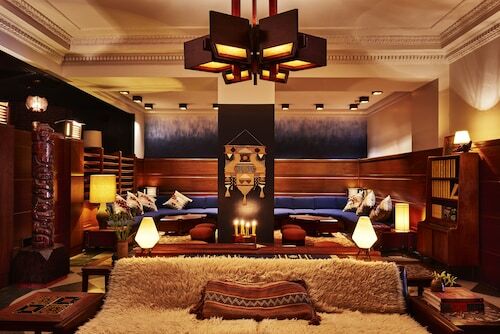 Located a half-block from Grant Park and 4 blocks from South Loop Shopping, this downtown Chicago hotel is a half-mile from the Field Museum. 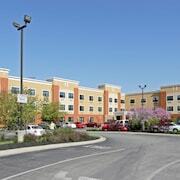 Situated in Elk Grove Village, this hotel is 2 mi (3.2 km) from Lake Park and 3 mi (4.9 km) from Allstate Arena. Rainbow Falls Waterpark and Ned Brown Forest Preserve are also within 3 mi (5 km). 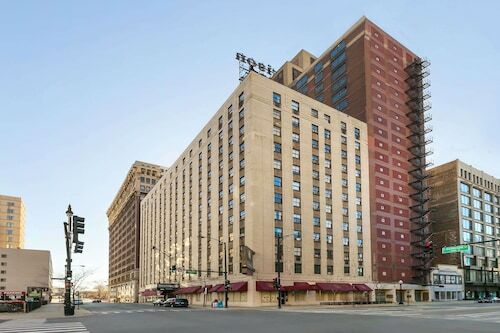 Located in River North, this motel is within a 15-minute walk of Merchandise Mart and Wrigley Building. John Hancock Center and Navy Pier are also within 2 mi (3 km). Merchandise Mart Station is 6 minutes by foot and Grand Station (Red Line) is 7 minutes. 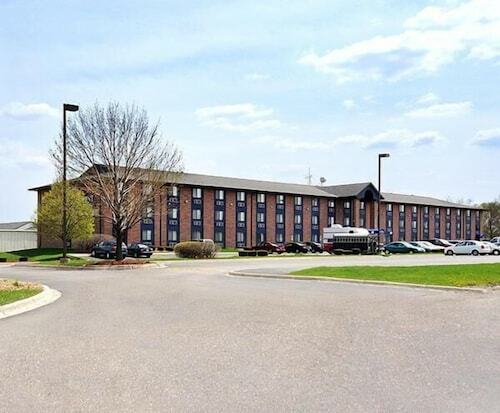 Situated near the airport, this hotel is 2.9 mi (4.7 km) from Allstate Arena and within 6 mi (10 km) of Rivers Casino and Pirates Cove Childrens Theme Park. Fashion Outlets of Chicago and Rosemont Theatre are also within 9 mi (15 km). 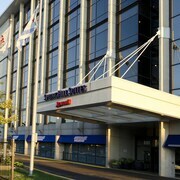 Situated near the airport, this hotel is within 3 mi (5 km) of Rosemont Theatre, MB Financial Park at Rosemont, and Fashion Outlets of Chicago. Donald E. Stephens Convention Center and Rivers Casino are also within 6 mi (10 km). Franklin Park Mannheim Station is 14 minutes by foot. 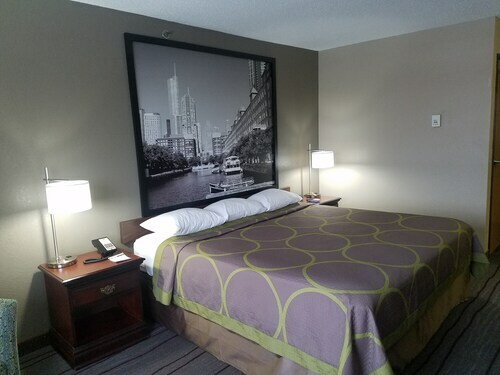 This 11-story Chicago hotel is 2 miles east of O'Hare Airport; across from the hotel, the Blue Line L train provides access to O'Hare Airport and the convention center, both 2 miles away. 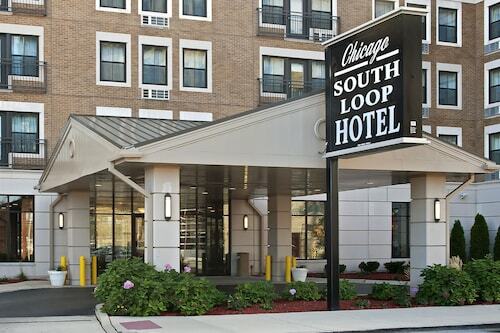 Located in Bronzeville, this hotel is within 1 mi (2 km) of Illinois Institute of Technology, McCormick Place, and State Street. Soldier Field and Wintrust Arena are also within 2 mi (3 km). Cermak-Chinatown Station is 15 minutes by foot and Chicago 27th Street Station is 16 minutes. 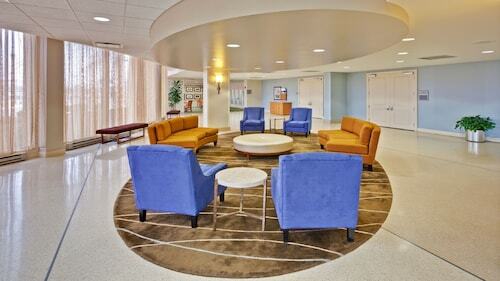 Located in Kenwood, this hotel is within 1 mi (2 km) of Lakefront Trail and Chicago Museum of Science and Industry. University of Chicago and State Street are also within 3 mi (5 km). Chicago 47th Street Station (Kenwood) is 12 minutes by foot and Chicago 51st-53rd Street Station (Hyde Park) is 12 minutes. Once your plane finally comes to a grinding halt in The Windy City in Lewis University Airport (LOT), your adventure has begun. Welcome to Chicago! 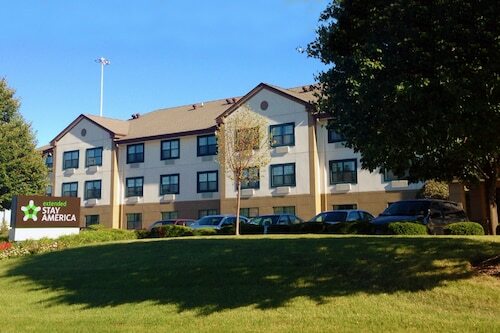 If you like the idea of staying somewhere near Lewis University Airport that has a personality all its own, choose from one of the 4 accommodations in the surrounding neighborhood of Romeoville. 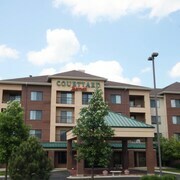 Here, you can catch up on some sleep at the Country Inn Suites Romeoville or the Extended Stay America Chicago - Romeoville. The Rialto Square Theater can be found 5 miles (8 kilometers) from the airport, and it is well worth visiting if you have the chance. So what are you waiting for? 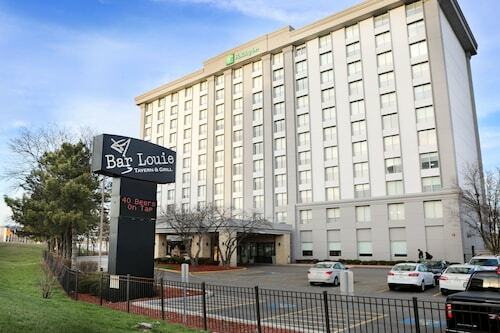 Have your Lewis University Airport hotel reservation sorted out so that you can focus on simply enjoying your adventure. It was a nice place to stay. The fresh baked cookies at the front desk were a hit.